Capitol Land Trust is now the owner of this wetland complex donated by Ron and Dawn Pannell. Several years ago the Goldsborough Creek dam was removed downstream from this property, opening up miles of salmon spawning and rearing habitat. 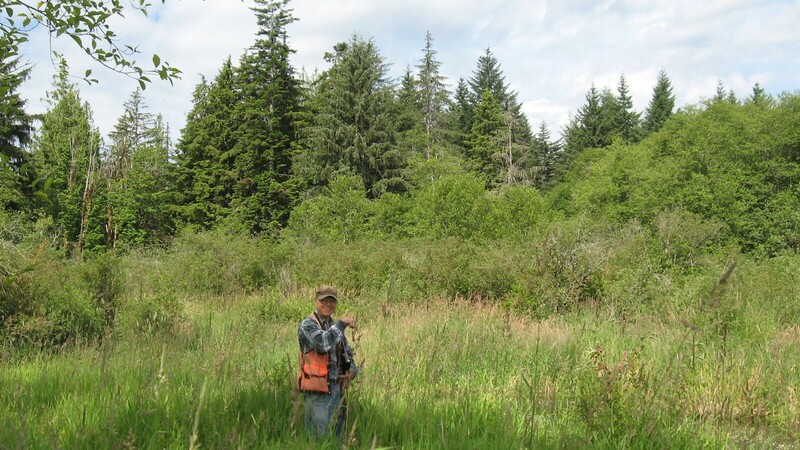 The Squaxin Island Tribe identified the Pannell’s property as one of the highest priorities for habitat conservation in the Goldsborough watershed. The waters flow southeast from the wetland towards Green Cove Creek and through a large-lot subdivision soon to be developed by the donors. This donation is an excellent example of how sensitive residential development can proceed while preserving the wildlife habitat and water quality values of a critical wetland. Our parcel was legally separated early in the subdivision process, and had no development potential. By giving the parcel to the Trust and not a homeowner’s association, the developers ensured active, long-term, professional protection for the wetland as well as realizing a significant charitable contribution. The neighborhood wins, the developers win, and we do, too.